Planned giving can assume many forms. Whether a bequest, charitable gift annuity, charitable remainder trust or some other giving method, your deferred gift will have a lasting impact for the KBOO community in our region and beyond. Planned gifts can also help you attain your own financial objectives while making a significant contribution. While saving on taxes may often be what people initially think of when considering a planned gift, it is unlikely to be the primary reason. Consider these other reasons for giving. * Commitment to a cause. Unsurprisingly, this is usually the most important reason. Your charitable donations support good works because you want to serve humanity. * Desire to share. To the extent we have been financially successful, we often like to give something back and let others share in our good fortune. In so doing, we deservedly gain recognition and a kind of immortality that can be achieved in no other way. 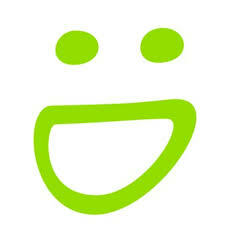 * Personal satisfaction. The enjoyment of helping others is magnified by the heartwarming gratitude expressed by those who have benefited. These are the most common reasons that individuals give so generously. 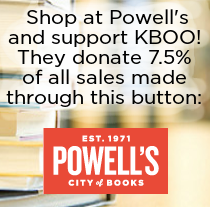 Once you have reached a decision to support KBOO with a planned gift, it is only natural to consider the financial benefits of your gift. Here are the many ways you can benefit while helping others. * Income tax savings. To encourage private contributions, the federal government allows you to deduct them on your income tax return, provided you itemize. * Reduction of estate and probate costs. Gifts to KBOO, either now or after death, avoid the federal estate tax. A contribution now will also reduce future probate costs. No matter why others give, you have your own personal reasons. This is the way it should be. Philanthropy has tangible and intangible rewards. You will find that you are influenced by many motives—some humanitarian, some financial, some close to your heart. The best plan for you is the one that satisfies all of them. The term ‘planned gift’ really refers to an assortment of possible gift types, some of which can earn you income. Most donors will simply create a bequest involving either a fixed or variable portion of the estate, which could include cash, property or other assets. Four types of bequests are briefly described below with sample language. Making a planned gift will require some advance effort on your part, which will largely be tax planning. "I give to The KBOO Foundation located at 20 SE Eighth Avenue, Portland, Oregon 97214, the sum of $______ ." You can leave all or a percentage of the remainder of your estate to The KBOO Foundation after the payment of any specific bequests and all estate-related expenses. "I give, devise and bequeath to The KBOO Foundation located at 20 SE Eighth Avenue, Portland, Oregon 97214 ______ % of the residue of my estate." "I give, devise and bequeath to The KBOO Foundation located at 20 SE Eighth Avenue, Portland, Oregon 97214 my interest in (describe the property and exact location)." You can designate The KBOO Foundation as a beneficiary of the remainder of your IRA, Keogh, tax-sheltered annuity, qualified pension, or profit-sharing plan. Our legal name is The KBOO Foundation and our Tax ID number is 23-7232987. We are a 501(c)3 non-profit organization. Donations are tax deductible as allowed by law. We will not trade, rent or sell any donor personal information.